TreeStewards had a great discussion at our Annual Meeting last week on strategies to meet our goal to “increase public awareness of the intrinsic value and beauty of trees”. 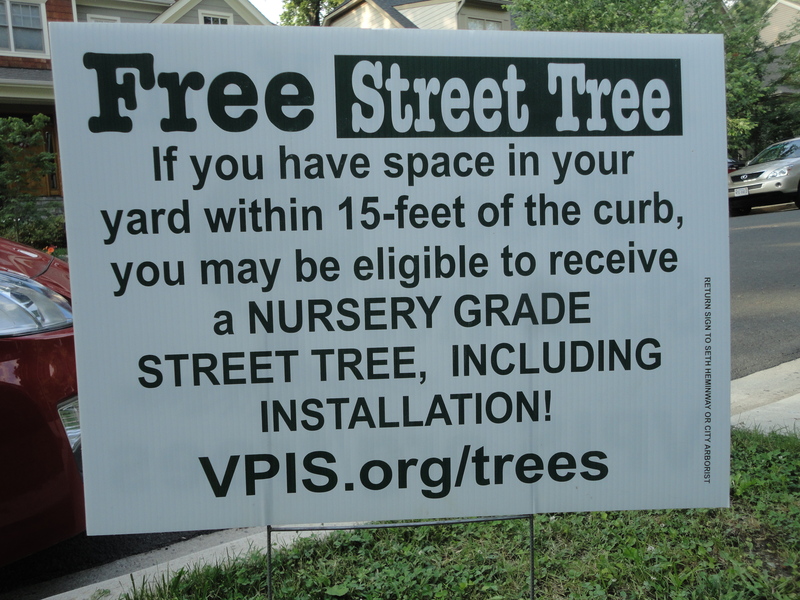 One of our Falls Church members displayed the signs (shown to the right and below) they use to publicize their tree planting program. 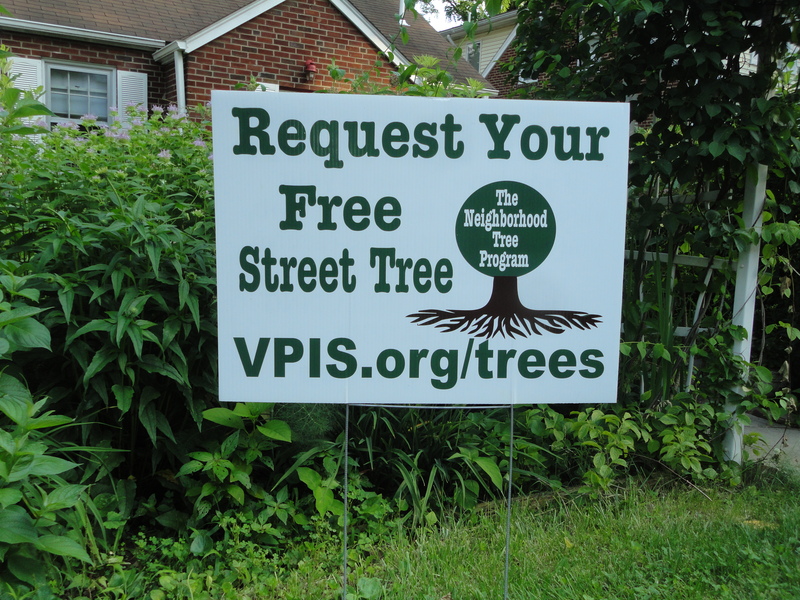 Everyone present agreed we could adapt similar signs and target neighborhoods in need of trees. But why stop with simple information? Why not adapt the Burma Shave technique of funny, memorable limericks about trees? Below is a rough first attempt and we need your creativity to find words that express the benefits of trees, rhyme with planting, watering and mulching. Please Plant Your Seeds in our Comments Box on the right. We’ll publish the best limericks on our web site and you may even end up published for all driving by to see! Oh Why don’t they plant some more trees? This entry was posted in Ask a Question, Community Service and tagged burma shave, limericks, public education, signs. Bookmark the permalink.